The Senior PGA Tour, officially known as the PGA Tour Champions has a playoff system called the Charles Schwab Cup and the results from 2017 show just how a big a joke those playoffs are. First, this author has been a long time supporter of the Senior PGA Tour. He's written countless articles mostly detailing the prize money for each senior PGA Tour event for many years. He's not trying to knock the senior tour but c'mon can the senior tour try not to make such a big joke of itself by awarding its playoffs to someone who is totally undeserving of the award? Here's the two players who finished 1st and 2nd in the 2017 Charles Schwab Cup Playoffs. (The Charles Schwab Cup are the playoffs while the Charles Schwab Cup Championship is the season ending tournament on the senior tour) Take a look at what each player accomplished in 2017 and see who you think is the real champion of the 2017 senior tour. 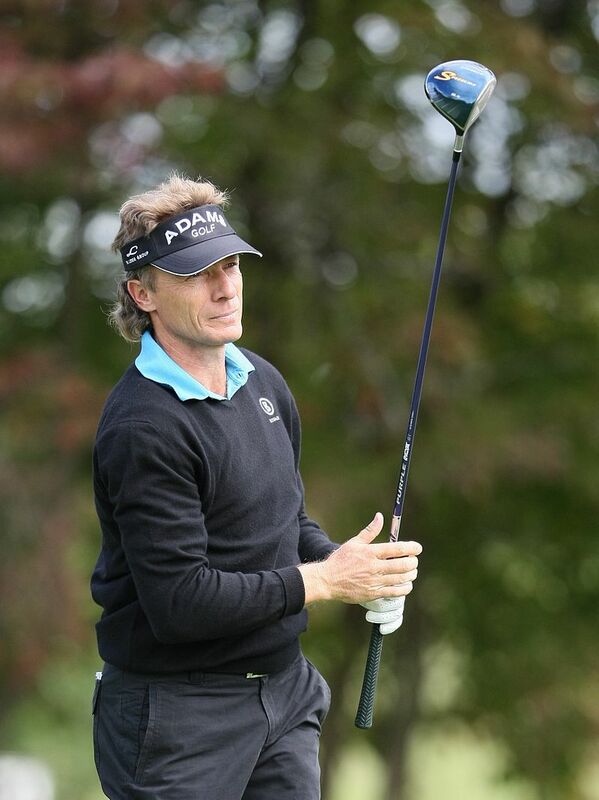 For the 2017 PGA Tour Champions season Bernhard Langer won 7 of the 27 events including 3 of the 5 majors in senior golf and he won 2 of the 3 Charles Schwab Cup Playoff events. It was arguably the greatest season any senior golfer has ever had. How in the world did Bernhard Langer not win the Charles Schwab Cup Playoffs? Kevin Sutherland's only career win on the PGA Tour Champions circuit came in the 2017 Charles Schwab Cup Championship. That is not only his first win in 2017 it's his first win Ever on the senior tour but somehow Sutherland was also awarded with the 2017 Charles Schwab Cup. Give me a break! How does a player who only wins once for the first time in his career win a season long playoff event? And to make it even worse, Bernhard Langer won two of the three playoff events this season but somehow he doesn't win the playoffs?